The IPS Glow is a "glow" effect which is present on the corners of an IPS panel whereas Backlight Bleeding usually appears along the edges of a monitor. It is most visible when viewing dark images in a darker environment. The amount of the IPS Glow depends on viewing angles, the distance to the IPS panel, the ambient light, monitor brightness settings as well as the manufacturing quality. Each individual unit will vary in terms of the IPS Glow. Backlight Bleeding does not change when viewing at an off angle. 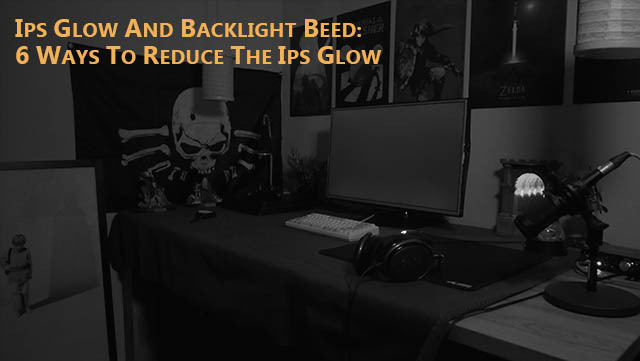 The IPS Glow is technology-related and can never be completely prevented or eliminated. But, How does it look like and how can I reduce the amount of it? Simple, easy, and fast tips & tricks to reduce the amount of perception of the IPS Glow on your gaming monitor. 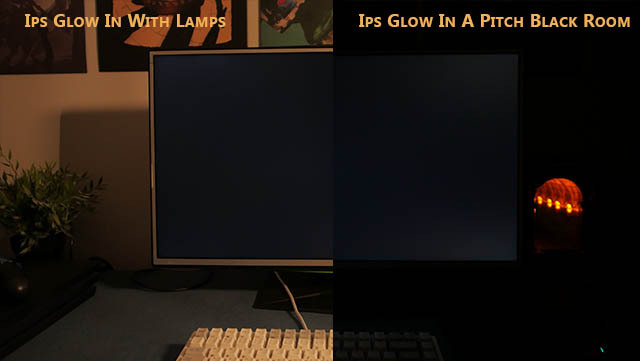 It is indeed not a real "IPS Glow fix" (since such a fix also does not really exist) but these tips will improve the image quality and combined with it the perception of the black level and contrast drastically. So, how to remove the IPS Glow? Everything clarified in this article. IPS Glow vs Backlight Bleed and how does it look like? IPS Glow vs Backlight Bleeding - The same thing? What causes the IPS Glow and Backlight Bleeding? How can I test my monitor in terms of the IPS Glow? How much IPS Glow is normal or acceptable? Do other monitors have less IPS Glow than gaming monitors? Did you already have tried out some fixes? What is your opinion and which one offers the best result in your case? Do you have any other ideas, tips, and tricks? Let us know in the comments section here or in the YouTube video. Overexposed photo of the IPS Glow (for demonstration purposes). 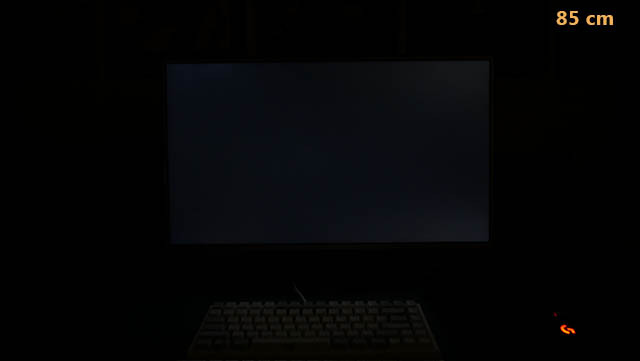 The IPS Glow and Backlight Bleeding can really be exhausting when buying a new monitor. 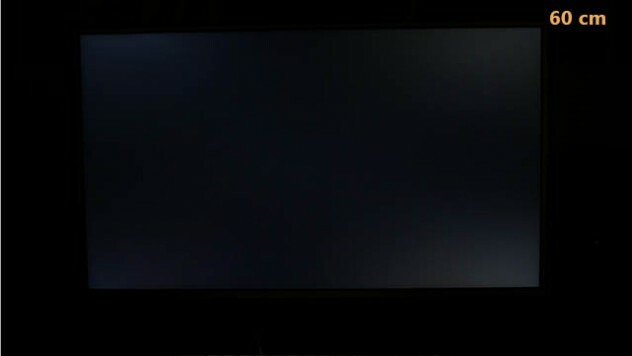 It is most visible on the edges of an IPS monitor in a darker environment (and especially when combined with it higher monitor OSD brightness settings). It can appear with a brownish, light bluish, yellowish, or greyish tint and the amount and color can differ in each individual unit. 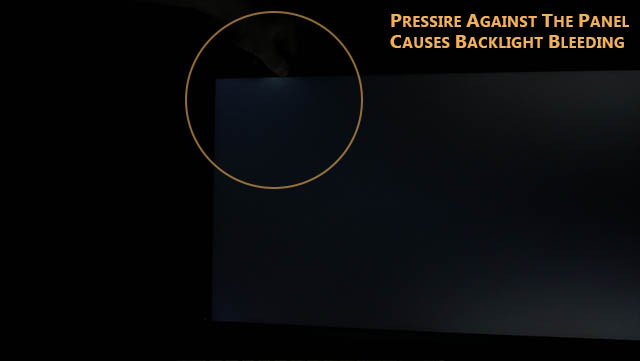 Backlight bleeding refers to areas of bright light on the monitor that are primarily visible when viewing dark or black screens in the darker environment. These light areas usually appear along the edges or corners of the monitor. The difference between the amount of the IPS Glow in a room with ambient lights vs a pitch black room. Long answer: The IPS Glow is strongly depending on the viewing angle, on the distance, on the panel frame construction as well as on the ambient light. The brighter your environment, the less visible the IPS glow. The IPS Glow also can differ in terms of the IPS Glow color tint. Current WQHD high refresh rate gaming monitors have a brownish or bluish IPS Glow (depending on your individual unit) whereas 100Hz ultrawide gaming monitors have a more yellowish IPS Glow (LG Panel built in the Asus PG348Q, Acer X34A, Alienware AW3418DW, Acer X34P). 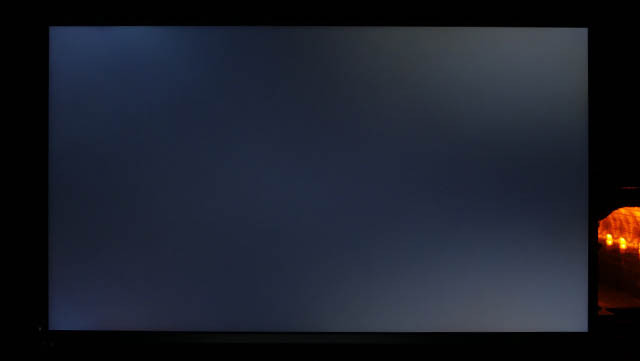 Some other IPS panels with 60 Hz have a more white/grey tint in the IPS Glow. The IPS Glow is visible only in the corners/edged of a screen. However, the IPS Glow also is visible in bright image content or rather on a fully white screen when looking from an angle. At a harsher angle, it looks like the panel is coated with an oil filter. The amount of backlight bleeding increases the more the panel frame pressures against the panel/display. It also can increase the amount of the IPS Glow when it pressures against the panel/display near the edged. Backlight Bleeding otherwise occurs when the led backlit behind the panel or borders is placed faulty or when the panel frame construction causes too much pressure on the display. Unlike the IPS Glow, it does not depend on the distance to the monitor or the angle at which you look at the display. Sometimes, it is possible to lose the panel frame also a bit. In this case, you can observe that the amount of Backlight Bleed will decrease. However, Backlight Bleed often is visible also near the edged, because the panel frame at this part is mostly tighter and stiffer compared to the bottom center for example. Already during the production, it is decided if a panel has bad, acceptable or very good IPS Glow and Backlight Bleed conditions. A panel has different layers included the anti-glare coating surface and the inner panel housing which is made out of metal. In the end, it depends on how well a panel is manufactured and how much pressure and tension the individual panel has. Incidentally, it is currently technically not possible to build an IPS panel without IPS Glow. To test your individual unit for IPS Glow you simply just have to open a full black screen on your monitor and dim your ambient lights in your room (Lamps, lights from outside, windows etc.). The darker the room the more IPS Glow and Backlight Bleed you will be able to observe. You can follow this link where I have created a full black screen video on YouTube with a length of 30 minutes. Of course, you also can test your unit in terms of the IPS Glow in normal conditions, since some units also can have such a bad IPS Glow, that this is even visible in a fully lit room. First of all, you have to find out where your personal tolerance level lays. Are you using your monitor often in a pitch black or dark room? Does the IPS Glow disturb you while playing games? How close do you sit to the monitor? Is an IPS panel the right choice for you? 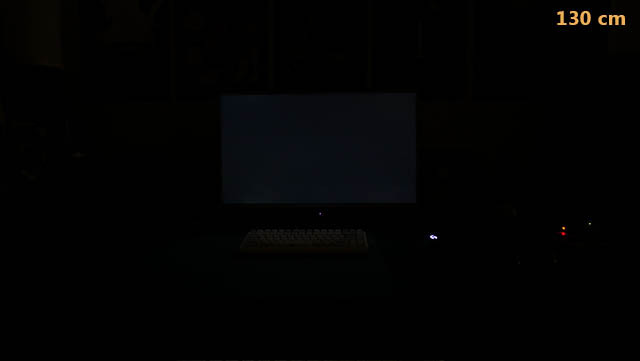 IPS Glow difference on a viewing distance between 130, 85, and 60 cm. Depending on with which panel type or rather how strong the contrast is with which you are looking for test images and videos the IPS Glow and black level can differentiate. The less contrast the panel with which you are watching the test screens, better the blacks, and the Glow will appear. I'm recording test screens mostly on an OLED viewfinder so that blacks and the amount of glow will appear when watching with a TN panel, better than in person or on an OLED screen. For the most realistic black level and IPS Glow picture you should watch one of my reviews on an OLED screen or a good VA panel with a strong contrast - So my reviews are more future proof. I had quite a lot of IPS panels and I think I can determine how much IPS Glow in a monitor as usual. Please consider, we are now talking about high refresh rate gaming monitors, while these monitors are using IPS panels from the manufacturer AU-Optronics. These panels have a brownish or bluish glow, depending on the individual unit. 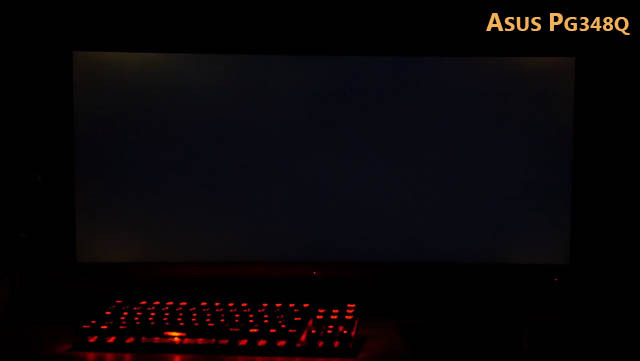 IPS Glow on the Asus PG348Q ultrawide gaming monitor (yellowish IPS Glow). 60Hz LG IPS panels mostly have a greyish glow which is mostly less visible than this bluish and brownish glow within high refresh rate gaming monitors. But they also have a worse contrast ratio what makes the glow even less noticeable. Why? Imagine a black and a dark grey background, on which you will observe more amount of IPS Glow? The difference on the monitor with better blacks will show the IPS Glow more than a monitor with worse blacks. This will already drastically improve the amount you perceive in terms of the IPS Glow. In addition, you will get a better perception of the black level of your gaming monitor and a better overall perceived contrast ratio. Monitor adjustments also are very important when using an IPS panel in a darker environment or in a pitch black room. Ensure that you set proper height AND tilt adjustments. While individual units differ, you can easily find out easily which height and tilt settings are the best for your monitor when opening the test video and darken the ambient light. #3 and #1 probably will reduce the IPS Glow probably most. Many people are using their gaming monitor at extreme brightness settings (above 80 in the OSD). In a direct 1:1 comparison a lower brightness monitor always will look worse with a less vibrant picture and clarity but I strongly recommend to get used to a lower brightness around 120 cd/m. Already after some days you will get used to the lower brightness and when switching back to your old brightness settings you will ask yourself how you just could stand such a high brightness. Btw, your eyes also will be thankful (: and in addition, you will get a much better black level. This one is probably a myth but I simply want to mention this since several people on different forums swearing that this one can help. Simply take a microfiber cloth and massage your panel (edges) for around 20-30 Minutes. In my case, it did not help on around 10 monitors - So I gave it up. Yes, you actually will get a smaller panel size when increasing the distance to the panel but if the IPS Glow bothers you a lot, you should simply try it out. If you cannot increase the distance further, you can try to wall-mount the monitor or simply lean back in your chair. I do recommend a distance around 80-120 cm. The farther the less visible the Glow of course. Even if you will lose the inner panel frame out of metal a bit, the outer panel frame (mostly made out of plastic) will again push the inner panel against the panel. While the inner panel frame is out of medal and also have a bit sharper edges, in the worst case your credit card can lose some plastic pieces which will be stuck in the inner panel frame. The result out from this is that these plastic pieces will cause more panel pressure and more Backlight Bleed. Different units from different manufacturers will have different constructions and closing mechanisms so that you have to figure out how to open your monitor model. In my case, with the Viewsonic XG2703-GS, removing the panel frame only helped a tiny bit in terms of Backlight Bleeding. Losing the inner panel frame is not really possible and even when I was able to increase the gap between the inner panel frame and the display it also sometimes has increased the Backlight Bleed, probably because the backside of the inner panel frame became more tension.